« Sign Up Today for Cryo-Cell’s Signature U-Cord Service and Receive a FREE Baby Jogger City Mini! The Signs of Aging at Any Age and How to Stop Them in Their Tracks! Antioxidant serums, good nutrition, exercise, avoiding sun damage and not smoking are the most basic and effective preventative steps you can take to keep aging at bay. A pioneer of many of the most popular anti-aging procedures, leading NYC Plastic Surgeon Dr. Gerald Imber knows about aging skin. The state of your skin: Though there are no outward signs like wrinkles or lines, collagen and elastin are already damaged. Antioxidant serum, sunscreen and moisturizers with AHA are your most important tools. Add a skin brightener to your morning skincare routine. Begin weight stabilization. Eat foods with antioxidants and Omega-3 fatty acids. Start taking 1,000 milligrams of Vitamin C.
Develop a vigorous, low impact exercise routine that includes weight training. The state of your skin: Fine lines and nasolabial folds become visible and deeper. Excess skin of the upper eyelids will appear and the lower lid area will become puffier more often. Fullness in the lower face and early loss of elasticity is apparent causing loosening of the jaw line and below. Add an eye cream to your morning routine and an enriched eye cream at night. Add tretinoin before your eye cream at night at a 3 weeks on, one week off interval. Periodic AHA peels or microdermabrasion will help restore skin clarity and reduce fine lines; TCA peels or laser resurfacing will help with significant wrinkles and/or dark circles; fillers may be appropriate if smile or frown lines persist; fat transfers will treat the deepening nasolabial folds; softening of the jaw line should be treated with microsuction before the problem escalates and puffiness of lower the eyelid area can be corrected with subjunctival blepharoplasty. Maintain control of good nutrition - this is not a time to experiment. Abandon running, other than short-distance warm-ups. The state of your skin: Loose skin, deeper lines, fat pockets appear outside the corners of the mouth, cheekbones become masked and skin of the neck does not bounce back. Schedule regular professional skin care - AHA peels, microdermobrasion and superficial laser resurfacing. The need for surgical intervention increases. Common procedures for this age group include: eyelid surgery; cutting of corrugator muscles to get rid of vertical frown lines; and a limited-incision face-lift to significantly reverses nasolabial folds, lift and tighten cheeks and rejuvenate the jaw line and upper neck. Weight gain at this juncture would result in irreversible stretching of skin. Add a calcium supplement and 400 IU of vitamin D.
Force yourself to exercise. This is a very important period. The state of your skin: More of the same. It gets worse, but you can intervene and roll back the clock at any stage. 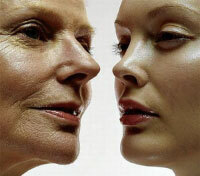 Thinning, wrinkled skin becomes more problematic. Wrinkled cheeks and chicken skin on the neck respond well to antioxidants, laser resurfacing and facial surgery. Traditional face and neck lift are often needed. 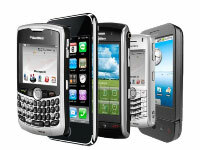 Top 5 Gadgets Smartphones Will Soon Replace and Ways to Save More Money Using Smartphones!